Godrej Eternity is coming on huge landscape in Bangalore with every necessary features and facts. Book dream property in best location of Bangalore city inside the godrej Eternity new launch project. The apartments has been established in close proximity to every needed amenities in term of residential demand. You can run fast in lifestyle by taking homes in the Godrej Eternity Bangalore apartments. Several important locations and shopping regions are connected to the property destination where you can go with walking in just few minutes. The apartments have been prepared according RERA rules update, master class architects and trusted interior designers have prepared master plan for it. With high class amenities like swimming pool, clubhouse with dozens of amenity, gymnasium, jogging track and world class security system, godrej Eternity has become demanded property among Bangalore city. The developer has offered almost every residential basic need for people who will become residents of project. Some of them are- 24 hour water supply, power backup, yoga ground, parks, security kiosk, lifts & elevators and much more. The flats will be available for booking in the size range 765 to 1738 square feet. Godrej Eternity comes with all the luxury specification and amenities and the usp of this project is location because Kanakapura road is the prime location of Bangalore which provides easy connectivity to all the major parts of Bangalore city, Godrej Eternity Kanakapura Road well associated with hospitals, shopping complex and schools which makes people life more comfortable. Several retails and commercial hub are situated along the road coming towards project destination. The property is also connecting so many advance location of city like stylish shopping mall, market place, lush greenery, cinema hall, water park, laundry, banking facility and ATM etc. So many industrial zones is being launched around the Godrej Properties Eternity apartments. The project is being developed on an 18-acre land parcel, with 2 and 3 BHK homes that will bring back Bangalore’s eternal attraction. Now you can come home to liberal greenery and pedestrian friendly zones, coupled with new-age amenities like a lavish clubhouse, smart home features and exclusive lifestyle partners, one of the best part of this project is that it covers with peaceful environment and hustle free life which makes you feel like you’re living in heaven.You will enjoy other amenities of property like swimming pool, indoor & outdoor games area, basketball court, volleyball court, flower garden on terrace, relaxation region and many more things. Residential complex spread over 18 acres. Expansive state of the art clubhouse 2 & 3 BHK apartments. Total Number of Apartments – 889. Excellent connectivity to major commercial hubs of Bangalore via NICE Ring Road and Outer Ring Road. Godrej group, big name of business sector that has given best result with successful way in many fields. Godrej properties is a construction arm of Godrej group, has 120 years legacy of excellence and trust. 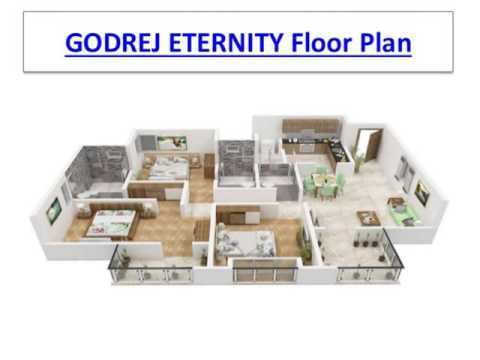 Godrej properties is working on commercial, residential and township projects with high quality features spreaded across 14 million square feet land region in 12 cities of country. The group has got over 200 awards and recognition including “real estate company of the year” at the construction week India awards 2015. This is trusted group in real estate sector and led continuously to the bangalore construction since many decades. Godrej Eternity is a world class home property in the city, launched by Godrej properties in Bangalore.